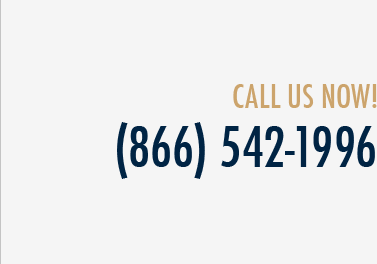 At St. Denis & Davey, our skilled attorneys defend doctors, nurses, hospitals, and other health care providers in medical malpractice lawsuits throughout Florida. Many of these lawsuits may result in early and efficient settlements or dismissals if effective legal representation is promptly retained. We advocate for our clients during the pre-suit resolution process and frequently succeed on summary judgment motions. However, we are ready to take a case all the way through trial if our client wishes. We have offices in Miami, Tampa, Jacksonville, and Panama City, and we also represent clients who need a nursing home defense attorney to fight for their legal interests. Patients often do not understand that a sub-optimal outcome of a treatment or procedure does not necessarily mean that medical malpractice has occurred. A medical malpractice lawsuit requires a plaintiff to establish that a health care provider's actions fell below the professional standard of care and that this deviation actually caused their harm. The professional standard of care is the level of treatment or skill that other similar, reasonably competent health care providers would recognize as being acceptable. This standard may vary based on a patient's medical condition, age, gender, and other relevant factors. Generally, plaintiffs must establish a deviation from the professional standard of care as well as causation by calling upon an appropriate expert. The expert needs to provide an affidavit even before the case is filed. An expert needs to be a similar type of health care provider to the defendant. The expert will need to provide a verified written opinion that indicates that they have reviewed the medical records and believe that there are reasonable grounds to bring suit. Florida also has other strict requirements that must be followed prior to a plaintiff bringing a lawsuit. If they are not followed, our firm can identify the issue and file an efficient motion to dismiss. Among other things, a plaintiff's attorney needs to investigate to make sure that there are reasonable grounds to believe that a medical provider was professionally negligent and that this negligence caused harm to the plaintiff. The plaintiff's attorney will need to gather medical records and review them, and they must send them to the expert so that the expert can provide the necessary opinion. If the expert is not a similar health care provider or does not provide the right details for the opinion, we likely can get the case dismissed for a failure to follow the pre-suit requirements. There is a 90-day pre-suit investigation period, during which the defendant will exchange information with the plaintiff. At the end of that period, we can help you decide whether to reject the claim, try to settle, or make an offer to arbitrate. We can go over these options after reviewing the case, and we can provide advice to a health care professional who is being sued about which option seems most appropriate in their situation. If the pre-suit investigative period ends without the case having been resolved, the plaintiff may proceed with their lawsuit. In some cases, it is still possible to get a case thrown out through a summary judgment motion. However, there are situations in which a case proceeds through formal discovery on to trial. Many of these cases become battles between the experts, with each expert's respective credibility providing the hinge on which the case turns. In a failure to diagnose cancer case, for example, we may be able to retain an expert to show that the plaintiff’s condition had proceeded too far for a defendant doctor's actions to have had a negative impact. This would defeat the causation element of the plaintiff’s claim and thus the case overall. 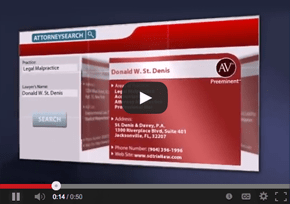 The lawyers at St. Denis & Davey offer an aggressive and knowledgeable defense to health care providers in Florida medical malpractice lawsuits. Unlike some firms, we have substantial trial experience. Our founding partner, Donald W. St. Denis, is a board-certified Florida Bar Civil Trial Practice attorney who has been a “Super Lawyer” since 2008. However, our priority still is attempting an early resolution of claims, aiming for dismissals or favorable settlements when appropriate. Feel free to call us at (800) 785-2153 or (800) 775-8571 or contact us online to schedule an appointment. We also can assist property owners who need a premises liability defense lawyer and provide representation in litigation related to insurance defense, construction defect defense, dealership defense, and labor and employment defense.